The pros and cons of refrigerators "Atlant"
How to defrost the refrigerator "Stinol"
System no frost (frost Nou) means "not frozen". Differently, it may be called the defrost, auto defrost, samolazovsky. The meaning of all these terms are the same: the technology that is responsible for defrosting the freezer in the refrigerator. Model no frost now offered by almost all manufacturers: LG, Samsung, Sharp, Hotpoint, Beko, Indesit, Electrolux, etc. The mechanism of the defrost heats the cooling element of the fridge for a short period of time and melts the accumulated ice. The resulting process water is discharged through a special outlet in the back of the fridge. The defrosting system controlled by an electric or electronic timer: every 6, 8, 10, 12, or 24 hour turns on the compression mechanism and operates from 15 minutes to an hour. A defrosting heater corresponds to a standard rating of power - from 350 to 600 Watts. In older models of refrigerators, the mechanism worked for a long time, and the customer reviews have led to improvements in mechanism. Refrigerators new models the mechanism of the defrost starts only if the compressor is running. Thus, the longer the closed door of the refrigerator, the less energy is spent on defrosting. Alternatively, some models of refrigerators manufacturers choose heated hot gas. - No need to defrost the refrigerator manually: it saves labor and time. - Food packaging more transparent and easily recognize the contents of the package, because it is not covered with snow/frost. Most frozen foods do not stick to each other. - The smell is minimized, since the inside is constantly circulating air (especially in versions of total no frost). - Better regulation of the temperature inside the freezer. 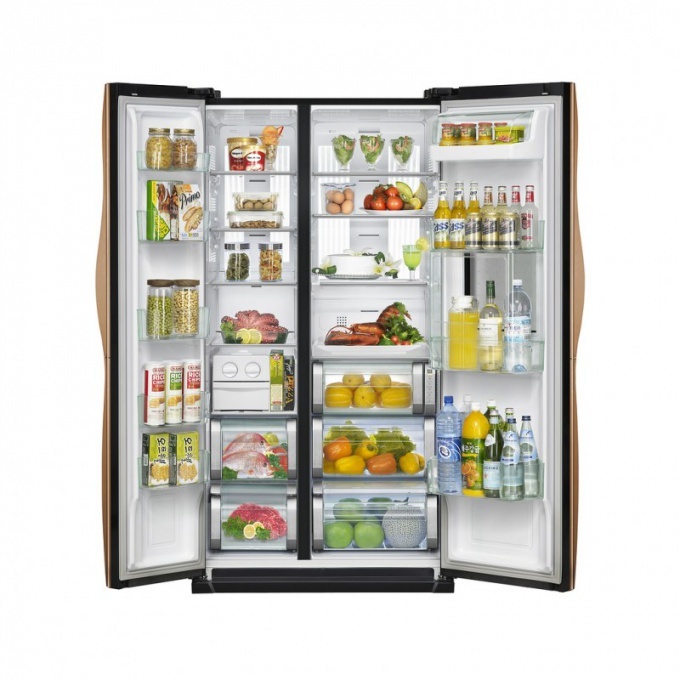 - The system can be more energy consuming compared to conventional refrigerators. - For security purposes, the system must be connected to the heating element via the power supply of high power. - Increasing difficulty electric and mechanical configuration can increase the cost of parts. - On hot days possible leakage of condensate from under the door of the refrigerator. - The system may not work or skip a cycle of heating in the hot days or with frequent opening of the refrigerator.